Kementerian Perdagangan Republik Indonesia - Kemendag or The Ministry of Trade of The Republic of Indonesia. Kemendag is a ministry in Indonesian Government that hold responsibility on the trade affairs of Indonesia. Kemendag was pPreviously known as the Department of Trade (Indonesian : Departemen Perdagangan, abbreviated as Depdag). Kemendag is based in Jakarta and its head office is registered in Jl MI Ridwan Rais No 5, Central Jakarta 10110. 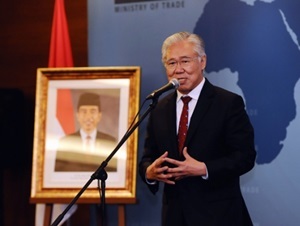 Kemendag is headed by a Minister of Trade and since 27 July 2016 held by Enggartiasto Lukita. 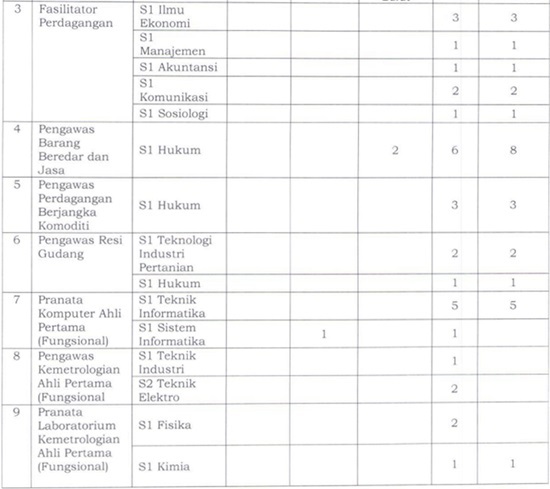 According to Kemendag's profile as cited by JobsCDC.com, the Minister of Trade is assisted by 5 directorate generals (DG) and 2 agencies namely DG of Domestic Trade, DG of Standardization and Consumer Protection, DG of Foreign Trade, DG of International Trade Cooperation, DG of National Export Development, Commodity of Futures Trading Regulatory Agency, Trade Policy Analysis and Development Agency. Due to strengthen its team, Kementerian Perdagangan Republik Indonesia open the opportunity for the best Indonesian Citizen who have high integrity and commitment to be a candidate for Civil Servants (CPNS). JobsCDC.com now available on android device. Download now on Google Play here. Please be aware of recruitment fraud. The entire stage of this selection process is free of charge. [CPNS] Kementerian Perdagangan - 58 Formation CPNS Kemendag September 2017 will never ask for fees or upfront payments for any purposes during the recruitment process such as transportation and accommodation.